for $275,000 with 3 bedrooms and 2 full baths. This 1,404 square foot home was built in 1999 on a lot size of 12.29 Acre(s). This property has it all! 12.29 acres of trees and mountain views. 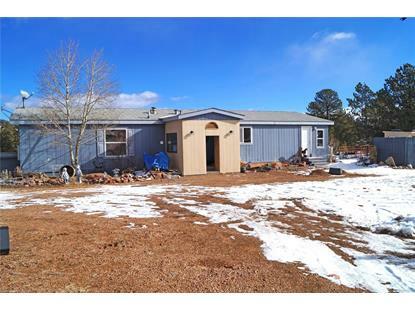 Well maintained double wide with covered deck and covered porch (new covered porch to be painted to match house). There is a detached combination garage and barn, greenhouse (still needs some attention), storage shed, insulated combination dog/cat kennel, and horse corral. 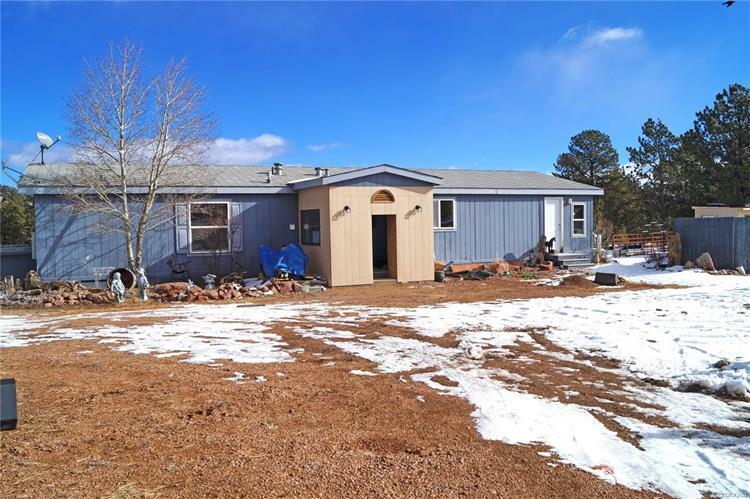 The property is fenced and gated with views of Pikes Peak and easy access to Eleven Mile Reservoir! These are 2 lots being sold together.